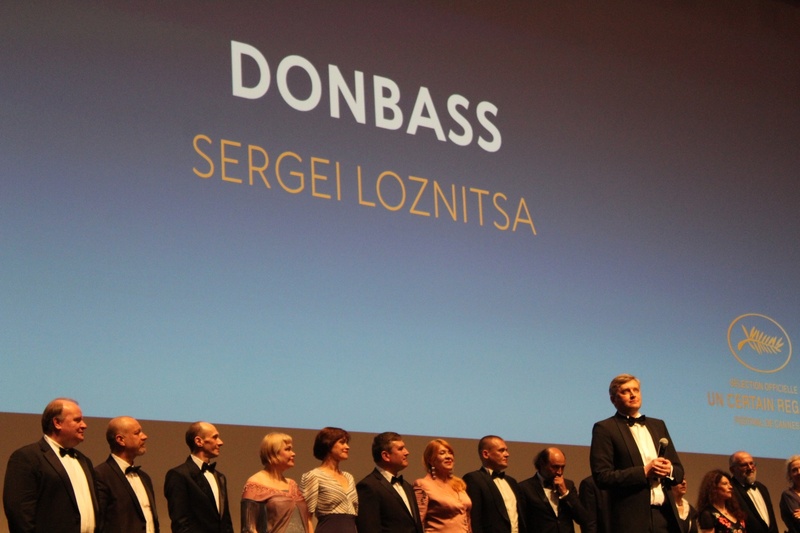 Director Sergei Loznitsa presents "Donbass" at the 2018 Cannes Film Festival. If this sounds like an absurd concept, that’s because it is—but so, too, is the state of Donbass, short for “Donets Basin,” a region that has suffered political unrest since an outbreak on the Ukrainian border in 2014. Written by Loznitsa around the same time, “Donbass” is a relentlessly brutal, and at times, strangely comical, look at a crumbling political system and the victims of the people who suffer its trauma. 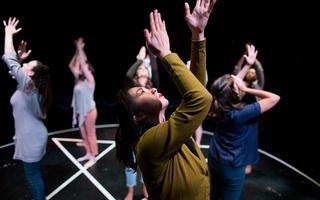 The vignettes are, at times, disjointed to the point of near-incoherence—but that failure of comprehension might be credited to an insufficient base of knowledge on the viewer’s part. And perhaps problematically—and emblematically—so: Save for a brief outbreak at the time of the conflict’s advent, reportage of instability at Donbass has been sparse, the ex-Soviet satellites’ governmental problems reduced to a vague caricature of corruption. Loznitsa’s vignettes underscore the blatant injustice of a unprincipled political system, one that infringes on personal freedom and silences freedom of the press. When a journalist (Thorsten Merten) arrives to report on the fate of Donbass, one of the military men harasses him for being of German origin. The journalist goes on to snap pictures of a group of soldiers instead, but the man’s sarcastic (or not) retort embodies what Loznitsa himself does with his camera: “Write the truth, write the truth!” he yells in the journalist’s face. “We’ve got corpses. You want to take snaps?” The line is brutal in both senses, as aggressive as it is true. That’s a fitting description for the film as a whole, “Donbass” in microcosm: Loznitsa’s vignettes, exaggerated as they are, appropriate the farce of political decline, proving the power of satire to weaponize corruption in its own, brutal way. And this brutality manifests in the film’s cinematic choices. Oleg Mutu’s cinematography reflects the desolate, barren land that the Donbass region in Ukraine has become. It rarely snows in most of the vignettes, but the coldness of the more villainous characters—those who terrorize the more innocent ones—seeps into the muted colors of the grey skies of what looks like a barren wasteland. Loznitsa alternates between long shots of the scenery and close-ups of the characters themselves, jumping back and forth between suffocating looks into their lives and overwhelming views of the landscape, too deadened to be beautiful. 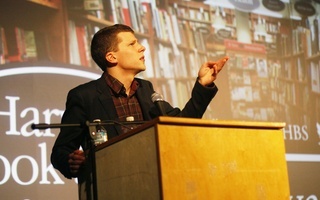 The film, though initially confusing—there is no central character, nor is there a narrative arch to the “plot”—is perfectly in line with what the films classified as of Un Certain Regard type represent: The category refers to films directed with a novel vision or nontraditional style, and that’s certainly what “Donbass” is. There is a subtle charm in the way certain characters or scenes pop up in subsequent vignettes, like a private wink from director to audience. When a mob attacks an old men affiliated with a fascist syndicate, several witnesses record the public near-lynching in a video that plays across the iPhone of a soldier attending the aforementioned wedding. A woman (Irina Plesnyaeva)—who begs her mother to leave the damp, breeding ground for disease that houses a group of Ukrainians whose war-torn, destroyed homes leaves them no other choice—is the same woman who works as a secretary in the ensuing scenario. The last scene is the continuation of the first, creating a circularity that unites what at first appear to be fragmented looks at life in Donbass. It’s a stark look at the cyclical nature of a decaying democracy. We’re back to square one, and it’s as desolate as we left it.